So you’re stuck at the airport, waiting for a delayed or cancelled flight. What do you need to know? If your flight departs from the EU, or is arriving in the EU with an EU-based carrier, then you have certain rights and protections under Regulation EC261/2004. The airline must provide you with refreshments proportional to the delay, along with two telephone calls, texts or emails. If your delay entails an overnight stay then the airline must also provide you with accommodation. Furthermore, if you are delayed for more than 3 hours, you may be entitled to compensation if the delay was the airline’s fault, but not if the cause of the delay was beyond the airline’s control. For example, no compensation is due if the delay was caused by bad weather. Passengers are entitled to free meals and refreshments, along with two telephone calls, texts or emails. Sometimes airlines will not provide this assistance when they are supposed to, but so long as the above conditions are met, you should be able to purchase reasonable (read: cheap) refreshments then claim the money back later, providing you keep your receipts. Often airlines will offer vouchers which can be used at the airport, but these are usually low value, such as €5. This won’t buy you much at airport prices, but sometimes outlets at airports offer special deals in conjunction with these vouchers – so look around before spending your voucher! If you are delayed overnight, or if you have been rerouted onto a flight departing the following day, the airline must provide you with overnight accommodation and transport between the airport and the accommodation. However, in practise certain airlines do not always provide this, so you may need to arrange your own ‘reasonable’ accommodation, then claim back the cost of accommodation and travel from the airline. Therefore it is essential that you keep your receipts, to help with claiming back these costs. It is also important to note that airlines will only pay for cheap accommodation, so don’t check into a 7-star spa resort for the night and expect the airline to pay you back for it! a) Reimbursement of your ticket cost within 7 days, and travel back to the origin of your journey. The reimbursement is for any unused part of your ticket, or for any part of your journey which is now rendered pointless by the delay (e.g. you will miss a business meeting). Compensation may also be payable. The re-routing option will include the right to accommodation laid out above, if an overnight stay is required, along with the right to meals and refreshments. Compensation may also be due if you arrive at your destination over 3 hours late. It is also worth noting that if the airline fly you to a different airport to your ticketed destination, they must also cover the cost of travel to your ticketed destination, unless otherwise agreed by yourself. If they do not directly arrange such travel, make sure you keep receipts for expenses incurred so you can claim the cost back from the airline. If you have missed a connecting flight (all booked under one reservation) due to delay on the first flight, these same reimbursement and re-routing rules apply. If you are intending to claim compensation, it is a good idea to keep any evidence of your booking, such as ticket stubs, boarding passes and booking confirmation, as these will help while trying to claim. If the airline gives you a ‘delay confirmation letter’ for insurance purposes, this is really useful if you later decide to claim compensation, so keep hold of it! The airline have a specific obligation to provide extra assistance to persons with reduced mobility, those accompanying them, and unaccompanied children. 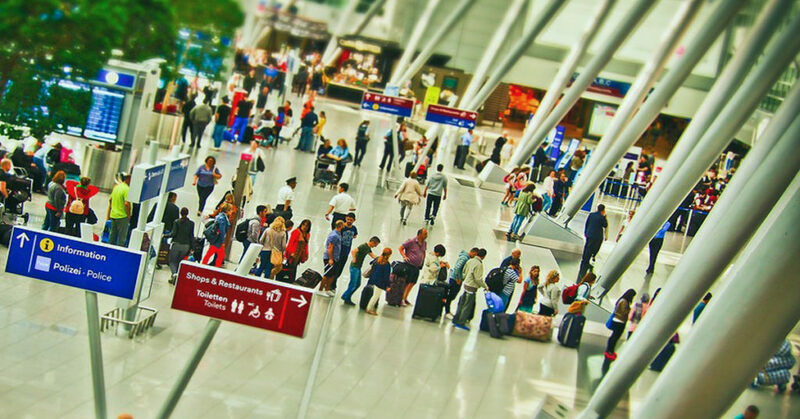 If you fit into one of these categories, it is important that you notify the airline’s representatives so that they can accommodate your needs.